There appeared to be some backfilling going on. The top box is steadily filling up with honey and the middle box had large quantities of nectar and pollen mixed in with the brood. They have finally moved into the bottom box. What we hadn't previously noted was that the majority of the bottom box is large sized honey comb, as a result this box is being used for nectar not brood despite its location on the bottom of the hive and some darkness on the comb. There were a good number of queen cups scattered around the top two boxes. We're itching to split this hive, but decided to wait and see if we get an egg in a queen cup soon. As the bottom box seems to be preferred by the bees for honey, we moved it to the top, and added a new box to the bottom for them to start building. 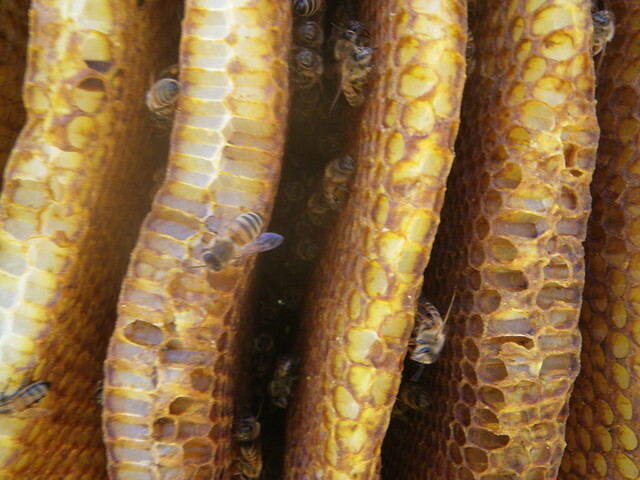 We're not too sure how quickly they will start building comb, but we don't expect it will be fast enough to keep up with the demand for proper laying space. In an ideal world we'll have a few fresh combs started and some developing queens in a week or so that we can turn into two hives. We do see signs of chalk brood here and there, but not much. 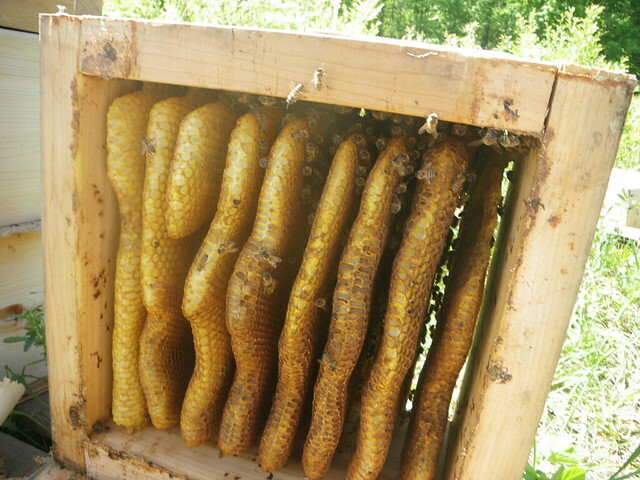 This is a pretty neat and tidy hive. Not many mites or anything else on the bottom board. Along with the new box I also swaped in one of my new bottom boards and removed the entrance reducer (In the video at the top of the page you can see that the bees are still returning mostly to the far right). 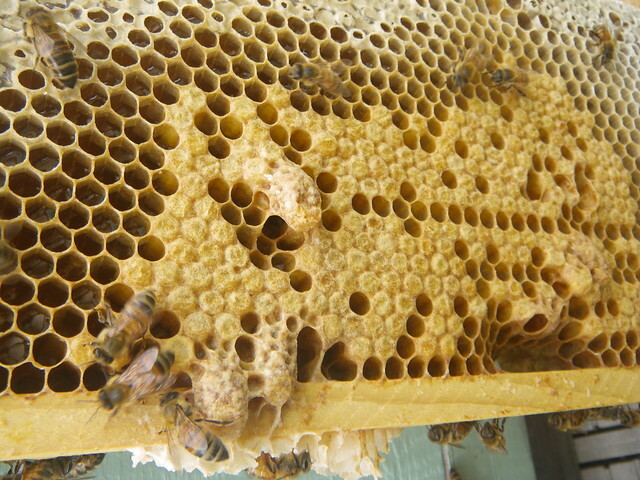 It's often stated that swarm cells are on the bottom of the frame and supersedure cells are built in the middle of the comb. This may not always be the case. 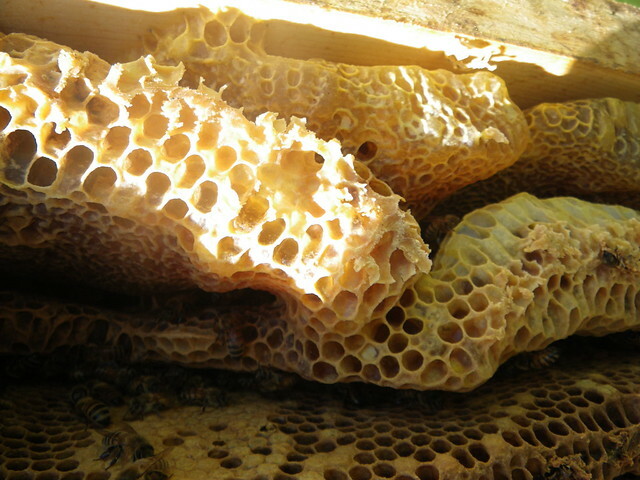 But a hive will often have proper queen cups ready at the bottom or middle of frames which may be used for either supersedure or swarming. So, rather than the appearance or location of the cell, one must think about the wider context of the hive to figure out what the bees are trying to do. For example, the following picture shows a frame with a good number of bees, a queen cup with an egg on the comb near the middle-right of the frame, and the brood nest in the process of being back-filled with nectar. In the case above we are looking at a strong hive building up and things are getting congested between a queen that is laying well and increasing honey stores. It's best to assume the bees want to swarm. By the way, did you spot the current queen in the above photo? Click here for a closer look. Walt Wright has also suggested a larger quantity of queen cups/cells or queens in a wide variety of stages of development, with the first queen laid at the periphery and subsequent queens laid across the brood nest, is indicative of swarming. 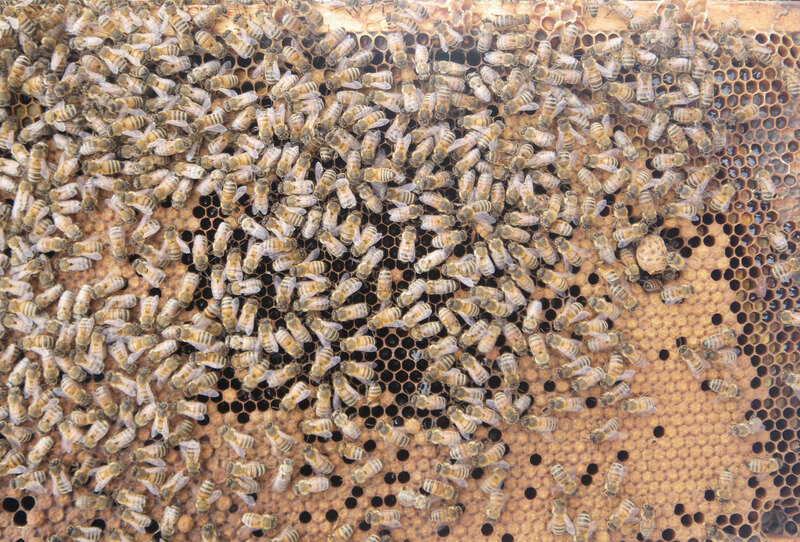 Whereas a supersedure tends to be just a few queens all laid at about the same time on the periphery of the brood nest. 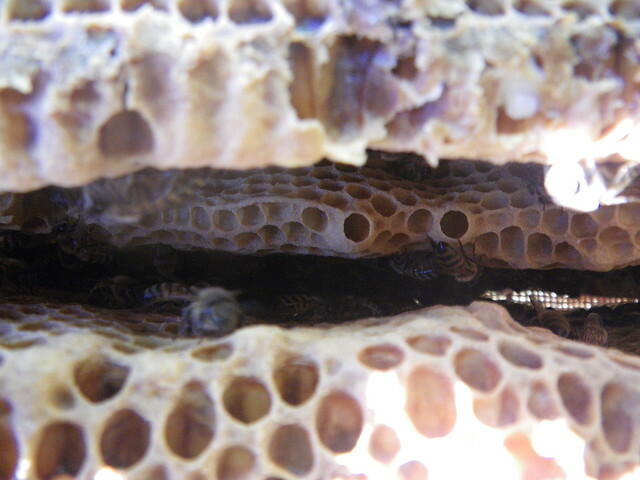 The myths about supersedure cells run so deep in beekeeping literature that you still may not be convinced after having read both my post and the preceding link, so I will also offer you this link to David Cushman's perspective on the topic.